Forklift Licence in Australia - Simple & Easy - Be Certified Today! Obtaining a forklift licence in Australia is different from other countries, though the training process is identical the issuing authority is not. In Australia, it is the WorkCover/WorkSafe that issues the licence, in other countries it is the training school or center. In Australia, applying for the forklift training is done by enrolling in a course offered by a registered training organisation (RTO) and applying for a licence in WorkCover/Worksafe is strict. You need to prove who you are by attaining 100 points of evidence of identity (EOI) and by completing other pertinent requirements before you can apply for a licence. The forklift licence has two classifications as well, as explained below. Driving forklifts is classified as high-risk work in Australia and the operator must be licenced driving it. Now if you do not know what licence you need to apply, evaluate your requirement according to these two classes. Order-Picking Machine (TLILIC2002A LO licence) – it is given to those operators who driving an order picking forklift where the control moves together with the load carriage. Forklift Truck (TLILIC2001A LF licence) – is given to those who have undergone training on the forklift truck, or those machines equipped with a mast and elevating carriage with a pair of fork arms. Based on these classifications, you can verify what licence you need to get..
At the legal age of 18 years old and above. You can establish your age by submitting IDs listed in EOI. If you have completed your training course through a registered training organization. You cannot apply for a licence if you hadn’t go through an RTO. You must be a resident of Australia, for a foreigner, you can show proof of citizenship. An applicant must have USI or unique student identifier number. 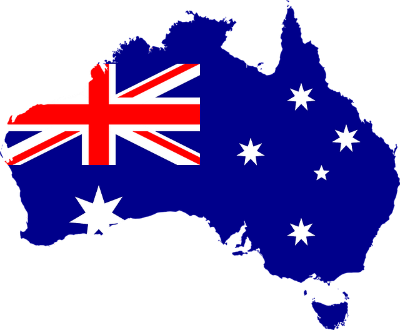 English is the primary language in Australia, and you need to communicate well on this. Other states or territories require an applicant to have a driver’s licence. This is in a circumstance where the forklift is to be driven in public roads. Enroll and take the training in certified RTOs near your location. We have provided a list of RTOs in every state or territory. After the training course, you need to schedule your written examination and practical evaluation. The exam and evaluation must be witnessed by the designated trainer and in as much as possible by the assessor/representative. If you succeeded, you will be given with a statement of attainment and notice of assessment. Complete the EOI, bring your EOI documents together with the statement of attainment and notice of assessment, application form, fee, and submit in person to the participating Australia Post. The post will accept the application on behalf of the WorkCover/WorkSafe. You will receive your licence after three weeks after submitting the application via mail. You can use your notice of assessment as an interim licence proving that you have submitted the requirements and now waiting for the actual licence to be processed. You must ensure that you’ve complied with all the requirements stated above. If not yet, I strongly recommend taking some time accomplishing those so that you can avoid delays submitting your applications. There were instances RTO would not accept the application if requirements are incomplete. The training is composed of two sections. The first part of the course is classroom training. Such training is an effective way of delivering theoretical knowledge to students. It only takes several hours to complete this, depending on the type of forklift you want to get training on. The trainer may administer a written exam after the classroom training so you better be ready. You should not take it lightly. You should also complete a hands-on portion using a type of forklift you want to have licence on, this is being done during the second part of the course which is the practical training. This second part is the most crucial because in this part you will display your confidence driving an actual truck. You will learn and perform a safe operation during the course. But to give you a better chance of getting a pass mark, prior to taking the course, you could ask a friend or a colleague who had access to a forklift, ask him if you could make a driving practice. But you must make sure, you do it in open spaces where there are no people around and take necessary precautions. It is best recommended also to read theoretical topics about driving forklifts, basic controls and fundamentals, work procedure and planning, and other subjects that may be deemed helpful for you if you take the classroom lectures. Driving forklifts is considered as high-risk work, it was classified in September 2010 to protect workers from dangers involving the operation of this type of heavy equipment. In order for you to become a licenced forklift operator, you need to apply for HRW licence. The application has to be done after taking a training course and skills assessment from a Registered Training Organization (RTO) and requirements have been completed. Lodging application for HRW licence will depend on where you are located in Australia. Each territory has its own governing authority in terms of health and safety enforcement and licensing regulation. Forklift licence is a mandatory requirement for someone who is prospecting for a job in this field, to start a career, find an RTO where you can take the training course. Good for you, there are many training providers you can find across Australia. It is also the obligation of the employer to provide their forklift operators such competence to avoid legal issue. The most suitable way of training delivery is to do it in actual work site because there would not be a halt in business especially when the operation depends on them. With the continuous growth of construction, warehousing, manufacturing and distribution industries in Australia, there’ will be a bright future of licenced operators. The market is huge and will stay this way for more several years. Payscale.com reported that licenced forklift operator in Australia can make as much as $17.20 to $22.33 hourly. Overtime pay, of course, surpasses that. Better news for a new operator is that as long as you completed your training and in possession of a licence, you can be picked by an employer easily and can look forward to stable and secured employment. If you are thinking of getting into this profession, then there is a bright future for you. The demand for forklift operators is increasing and it will likely stay that way. You can be employed in many types of industries such as construction, mining, and manufacturing types of businesses. But to become an operator you need a forklift licence. The forklift licence is not just a plastic card, it is your proof of competency operating forklift. It is a must-have if you want to get into this profession. The prospective employer will look for it when you’re applying for a job. This makes you more appropriate to occupy the job. Make sure you specify what type of forklift you’ll be operating in order to determine what kind of forklift licence you must get in Australia.